So what do you do on a Friday night at 9:45pm? Well, if you’re me last night – and I hope most of you aren’t and have more interesting things to do – you mix up bread to bake in the morning. There’s not a lot to do on a stormy Friday night in the country. So one may as well make best use of their time. My best use of overnight? Sleeping. So why not, when you can be making bread at the same time. Huh?, you say. We all have to admit, there’s not a whole lot better than warm, fresh bread in the morning. It has it all: aroma, taste, that feeling of warmth and comfort and of home. So that’s what I did. I mixed up bread dough. 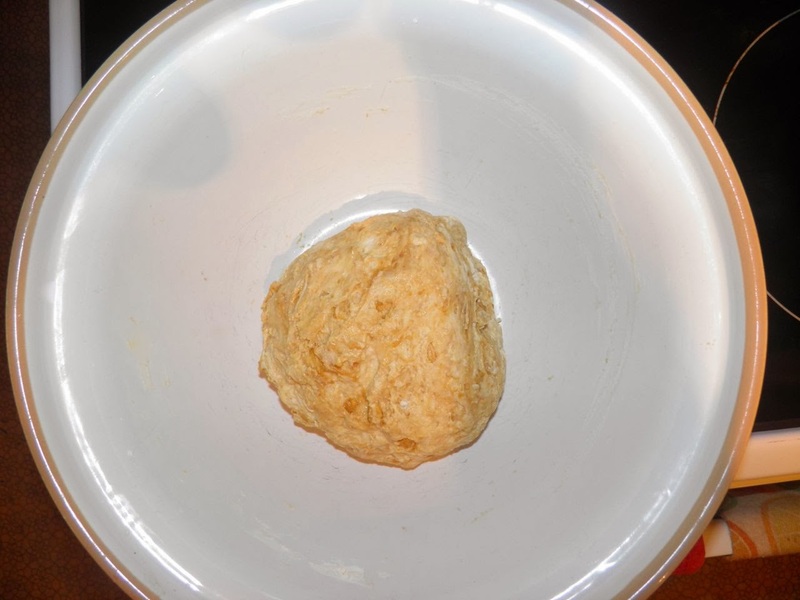 This is one of my no-kneading overnight breads. You could cut the time down to 3 hours plus baking if you proofed the yeast. But I prefer to not be tied down during the day, so for me overnight rising is a blessing. It only takes a few minutes to throw the ingredients into a bowl. For some reason I thought of using one of the Keith’s IPA that have been cluttering up my basement steps. It’s a better use than drinking it, in my opinion. Anyone who’s “used the product well” on a Friday or Saturday night knows the aftermath of overindulgence. And the stuff is so easy to drink because it’s banal. I have had that 12-pack for over a month. I think I’ve used 5. One in this bread and 2-1/2 in another recipe for beef ribs I will post soon. I think I drank one, maybe two. I’ve been on a craft beer kick lately. It makes for far more pleasant mornings. It’s pretty hard to gulp down 6-8 of those suckers in an evening. They’re filling. Usually 2-3 is the maximum. Mass produced beer, on the other hand, is far closer to flavoured alcoholic water. When I find a frothy beer in front of me I prefer it to have some taste and interesting qualities. I don’t want to come across as picking on Keith’s, one of the most popular brands in Eastern Canada. It’s just not for me. All mass produced commercial beer tastes about the same. Line them up and there’s only subtle differences. You can taste profit in them, not love of brewing. But they’re fine for cooking and baking, giving a yeasty boost to whatever you’re making. Of course, if you really want to boost the flavour, slip one of those delicious craft beers you pass by at the liquor store into a recipe. Porter or stout would be good in this, but I prefer to enjoy those in a glass! That being said, this bread turned out very nicely, thank you very much. Brown, yeasty and sweet with a crunchy crust. Great warm as a slice with butter, or toasted. 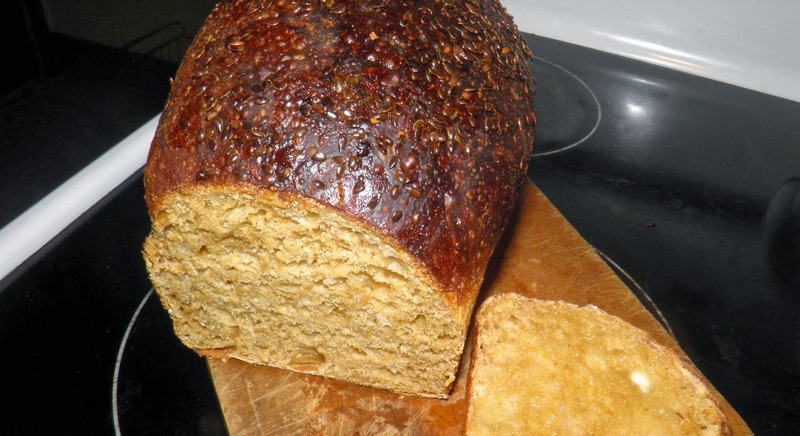 You can omit the flax seeds if you wish. I admit they're kind of messy! Mix together all the ingredients in a bowl, except for the flax seeds. No need to “proof” the yeast beforehand, unless you want to cut down on the first rise time. Bring together until all the flour is mixed in. Cover with plastic wrap and then a tea towel. Sit the bowl in a warm place and let the dough rise overnight (8-9 hours). After the first rise, place the dough on a flour-dusted board or countertop. Knead briefly, using only enough flour so the dough doesn’t stick. Shape into an oblong. Oil a 4x8 loaf pan. 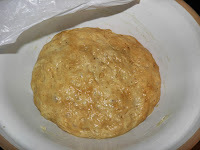 Place the dough in the pan, oil the top and sprinkle the flax seeds on top. Cover loosely with plastic and let rise for one more hour, or until doubled. Preheat the oven to 425°F. Place a pan of water in the bottom while the oven heats up to hydrate the oven interior. 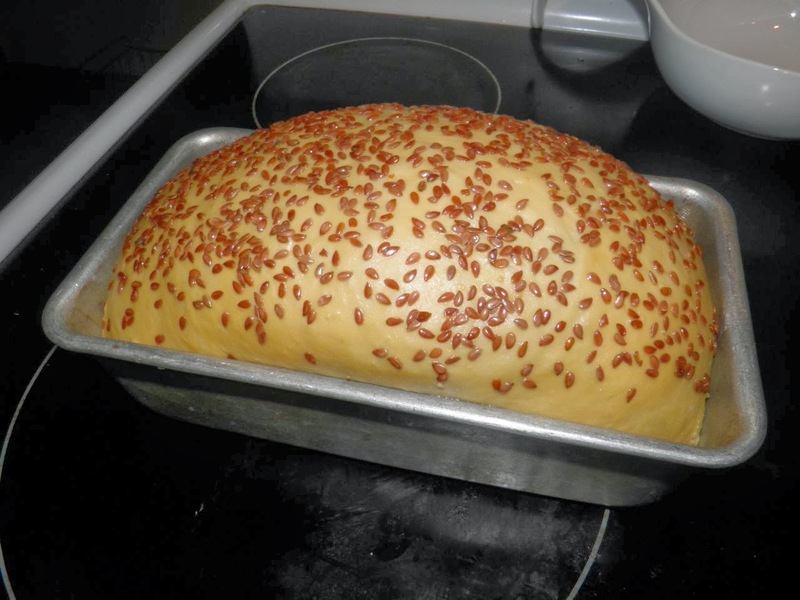 Bake the loaf for 30-35 minutes, removing the water pan after the first 10 minutes. The loaf will be well browned and sound hollow when tapped with your fingers. * If you do proof the yeast, cut the first rise time down to 2 hours, or until doubled. 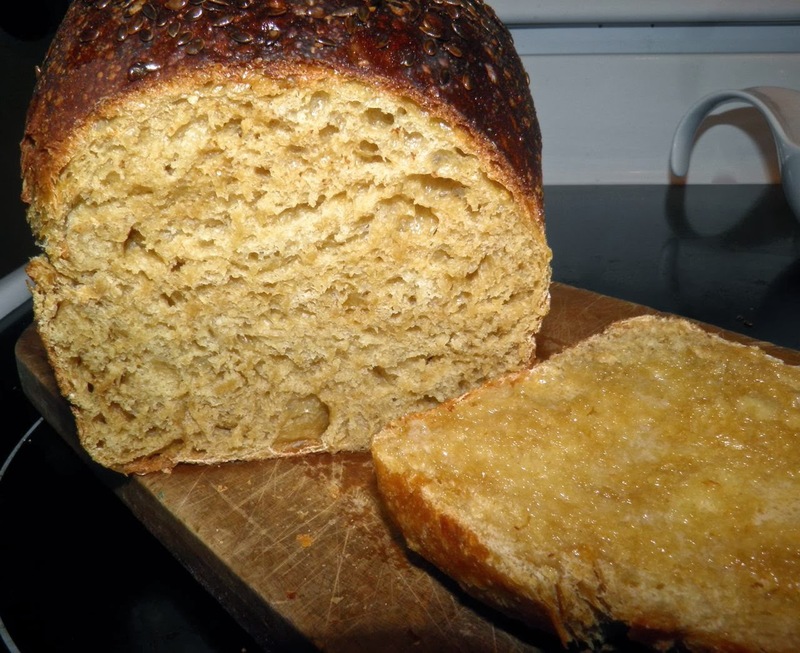 If mass produced beer leads to a yeasty good taste in your bread, then it's definitely not from the beer as every cell of yeast is micro-filtered out of mass produced beer. Craft beer on the other hand has a pretty good chance of having residual live yeast in the bottle. Thanks for the clarification. Should have really said "hop-iness." Congratulations, by the way, on the Grand Opening of Boxing Rock. Hope to taste your wares the next time I find myself in Shelburne!